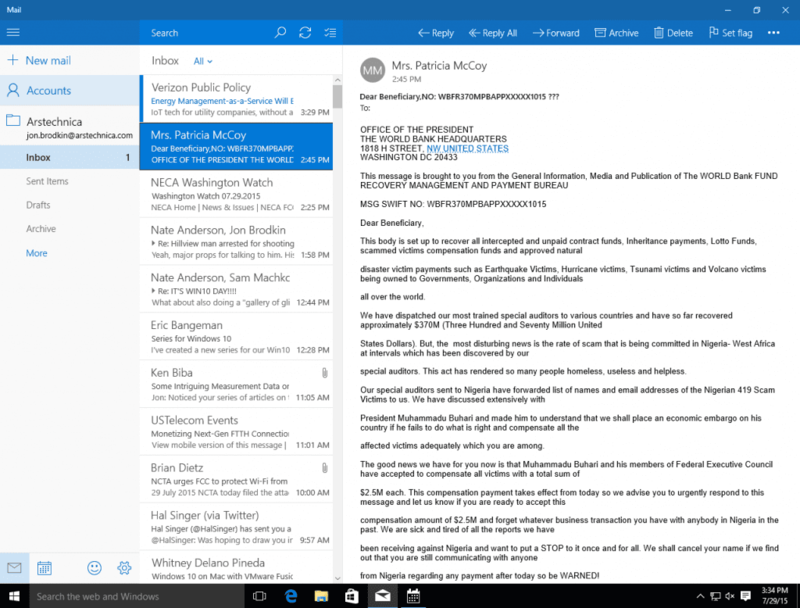 Not completely satisfied with your Windows 10 Mail app experience? While the Windows 10 Mail app is a big improvement on Windows Live Mail, it does suffer from a few issues that hold it back from being truly great at mail for Windows. Luckily, Mailbird could be the perfect email app for Windows for you! So should you try out Mailbird? In this article, we’ll compare Mailbird and Windows Mail to help you decide. As a result, you won’t have to switch through multiple accounts on a web browser to see your mail – it’s all syncing up for you in one space on your desktop app! Luckily, both Windows Mail and Mailbird support a POP and IMAP incoming mail server and outgoing server so you won’t have any difficulty when you sync your accounts. While the Windows 10 Mail app didn’t initially come with this feature, it now allows you to sync all your accounts into one common inbox. While this is one their best new features, it isn’t without its issues. The main issue being that it’s hard to distinguish between multiple emails in your Windows Mail inbox. As there’s no real way of demarcating which emails belong to which mail account, you’ll have difficulty categorizing your emails into folders and trying to manage accounts. With Mailbird’s Unified Inbox though, you won’t have this problem. That’s because one of the sync options allows you to assign colors to accounts so that it’s easy to identify which email message came from which account! This way, not only will you be able to see all the incoming mail from all your accounts in one place, you’ll be able to distinguish which email message came from where. You can now manage accounts and sort emails into folders with ease! Unfortunately, both Mailbird and Windows Mail do not have an Android app for your Android device or Android phone as yet. As such, there is no cross-device syncing protocol like Exchange activesync. Mailbird is, however, working on an app for Android so that you can access it from your mobile lockscreen in the future! 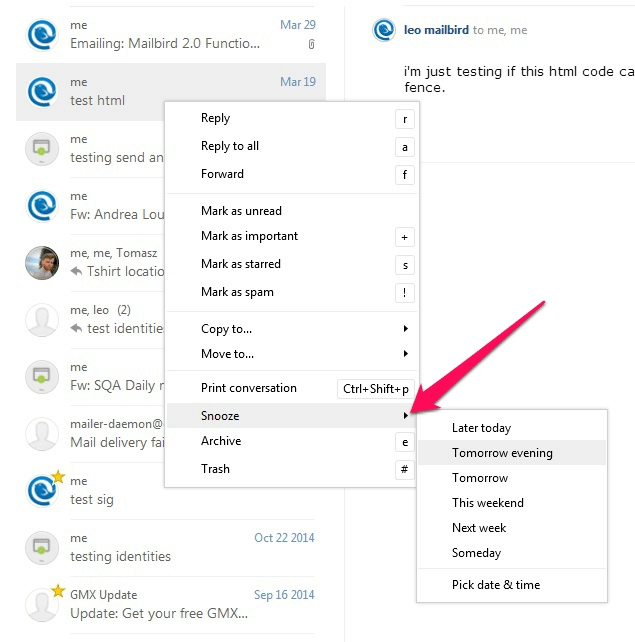 Both Windows 10 Mail and Mailbird are developed using the same metro style theme. 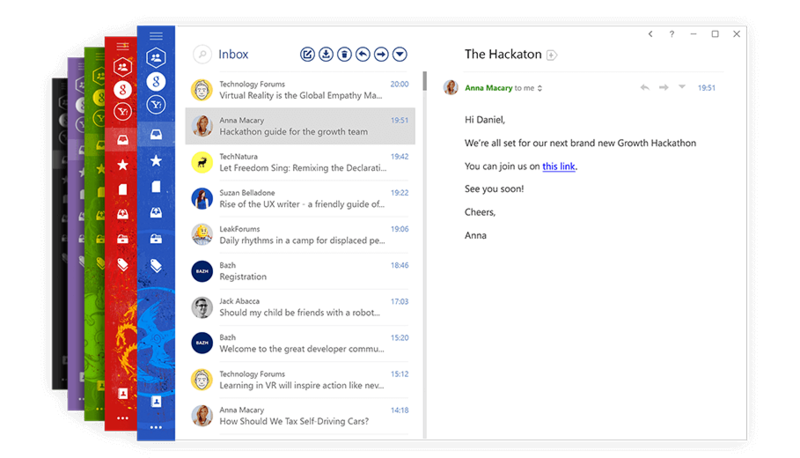 But while the Windows Mail app is mainly text-based, Mailbird uses intuitive UX elements to make it look sleeker. It also gives users benefits beyond mere appearances! By using UX elements, it’s easier for Mailbird to integrate with any communication and productivity apps that you use. Another difference between the Windows Mail app and Mailbird is the screen layout. While three panes might be ok, Windows Mail won’t allow you to have an additional fourth pane dedicated to any integrations you may have added. Therefore you’ll have to switch between your inbox and your integration everytime you need to access it. With Mailbird, you can change Mailbox settings such that the three pane layout now expands to four panes! 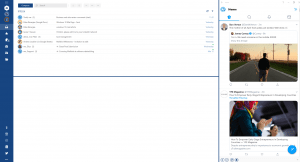 With Mailbird’s four pane layout, users can have a start menu, an inbox column, a compose window and an extra column dedicated to a third party app such as Whatsapp or Veeting Rooms. This makes managing multiple tasks and objectives very easy as you no longer have to switch through apps. It’s all there for you in one unified space! Email isn’t the sole communication channel for most people these days. Social media has now taken over as a major form of interaction. 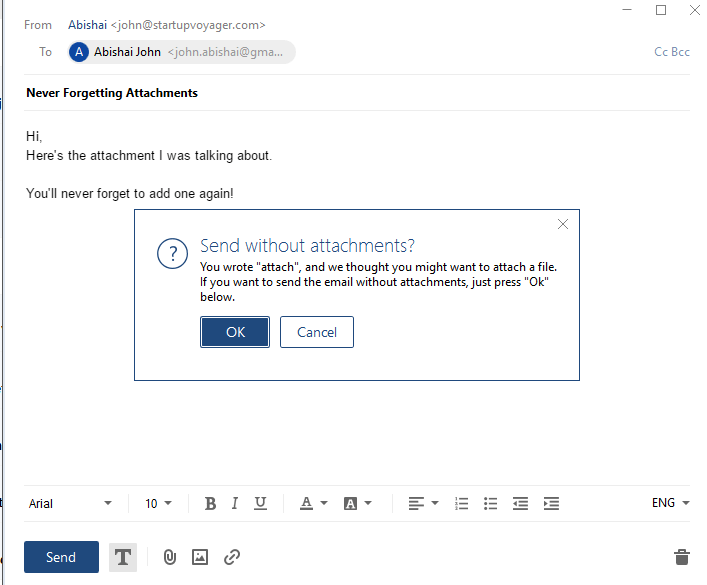 That’s why it’s important for your Windows e-mail program to be able to connect with your social media channels and other Windows Apps. While your average mail app in Windows doesn’t have any built-in apps, it can integrate with third-party apps. This way, your e-mail program can become a unified communications hub for all your interactions even if there are no built-in apps. The problem is, there aren’t a lot of useful Windows apps in the Windows Store app that native clients can integrate with. You’re unable to integrate Facebook or Twitter with Windows Mail which means you’ll have to operate them separately. Not a deal breaker – but still an issue. But why limit yourself to that limited Windows apps list in your Windows Store App? With Mailbird, you won’t have to only rely on the Windows Store App for integrations – you can add almost any apps for Windows! Mailbird can integrate with both Facebook and Twitter to give you complete access to your social media accounts. This way, you’ll be able to handle all your communications within Mailbird itself! Another important app integration to have is a calendar app for Windows. Are you not happy with Windows 10 Mail? Give Mailbird a try now. Allowing your mail app to integrate with Calendar apps like Google or Kin Calendar apps can be very helpful as it allows you to schedule your day within your desktop app itself. For a full list of all our integrations, click here. At the end of the day, the Windows Mail app is still a free version e-mail program – just like Windows Live Mail was. There’s no paid pro version. So it makes sense that they’d focus on saving their features for their paid offerings like Microsoft Outlook / Outlook Mail instead. When it comes to additional features, you don’t get much with Windows Mail – even if you’re part of the Windows Insider Program. However, when it comes to Mailbird, you’re not getting just another mail for Windows app. You’re getting an email client that tries to make each and every aspect of your email process as simple as possible. Most emails you receive wouldn’t be super important. But they clog up your inbox and make it harder to find and address the few important emails that do matter. Mailbird offers you a Snooze option which helps you declutter your inbox. With it, Mailbird takes these unimportant emails and tucks them away from your inbox for the time being. You can select how long each specific email should be snoozed – a few hours, a day, a week or even a month! In the meantime, your inbox is now free of these low priority emails and you can address the important incoming messages with ease! Don’t worry about forgetting about those emails that were tucked away earlier – once the time period you specified passes you’ll get notifications about them and they’ll pop back into your inbox. Done with addressing your important new messages? Do you want to access these unimportant emails now before their snoozed period is up? You can easily access them anytime by going to the Snooze mail folder in Mailbird where all your snoozed emails are stored. Ever remember that you had to attach files to a mail after you press enter and the mail has already gone? Mailbird will immediately generate pop up notifications to add some files if you mentioned ‘attachment’ in your mail. This way, you won’t have the problem of forgetting to add files – be a folder or an image to an email before it uploads ever again! Wish adding email ids to your email was as easy as tagging someone on Facebook? When you’re writing a mail in Mailbird, just type in “@” followed by the name of the person. Mailbird will automatically go through your contact list and mail folder to pull up the email address of the person concerned. It can then add it to the recipients’ list as either the primary recipient or as a “cc”. This way, sending an email to all your contacts is as easy as tagging them in a video you saw on Instagram! On average, people spend around two and a half hours a day reading emails. That’s two and a half hours that could’ve been spent on other productive tasks instead. Nobody needs to spend that much time going through emails – especially when most of them aren’t important. 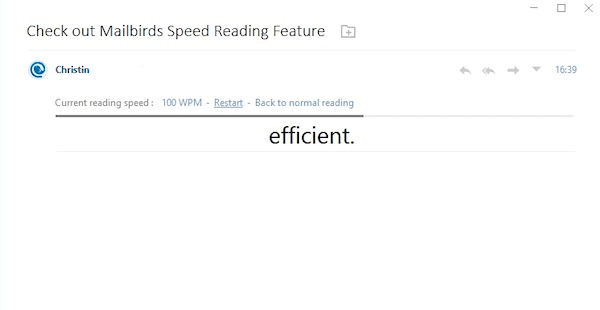 To help you with that, Mailbird offers you a Speed Reader feature to breeze through your mail. It’ll show you an email message one word at a time so that your brain can process it more quickly. You have a choice of 100 WPM (words per minute) to 1000 WPM to suit your needs. By doing this, you’ll be able to triple your reading speed and have more time for other tasks! You can find out more about this feature in this Techcrunch article. Want to spend less time on emails? Use a keyboard shortcut! One of the drawbacks of Windows Mail is the absence of many helpful shortcuts. That’s why when it comes to shortcuts in Mailbird, there’s no stone left unturned! This way, finding a shortcut for all your needs is now just a click away! Want to customize your user experience? Another issue with Windows Mail is its lack of customization options. Sure, you can change the color scheme – but that’s about it. With Mailbird though, nothing’s off limits. You can use either a light mode or dark mode for your entire Mailbird experience! Not satisfied with just a dark mode? You also have the option of adding a custom theme or image as a background to further personalize Mailbird. The same goes for the screen layout. You can choose between a three column, small screen or preview pane to suit your needs. You even have the ability to add an email signature to your emails for added personalization. This way, this app for Windows adapts to you – not the other way round. Trying to setup Windows Mail or any other desktop mail client? Many users feel that trying to set up account settings and sync settings in a desktop mail client for the first time can be a painful task. That’s because many email clients have an advanced setup that can be complicated, buggy and quite confusing! But setting up Windows Mail is easy. As it’s a built-in software, you’re going to face no issues. 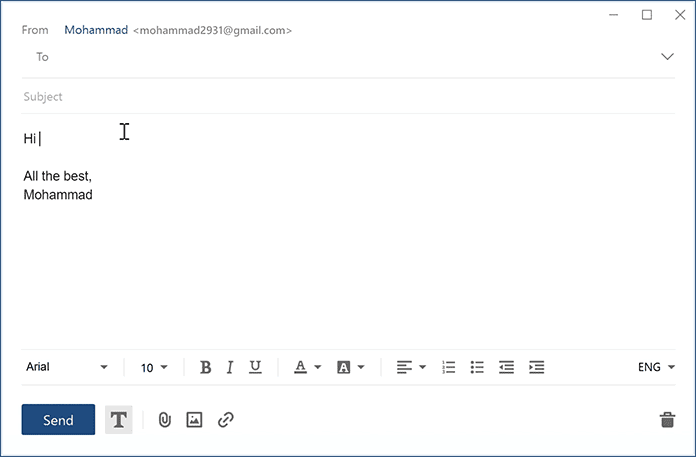 Luckily, the set up in Mailbird is even simpler! The whole process – from clicking the “Add Account” icon to customizing your background can take you just a couple of minutes! As it can handle POP and IMAP accounts, it’ll adjust the sync settings automatically to spare you the trouble of spending hours in the server settings menu. 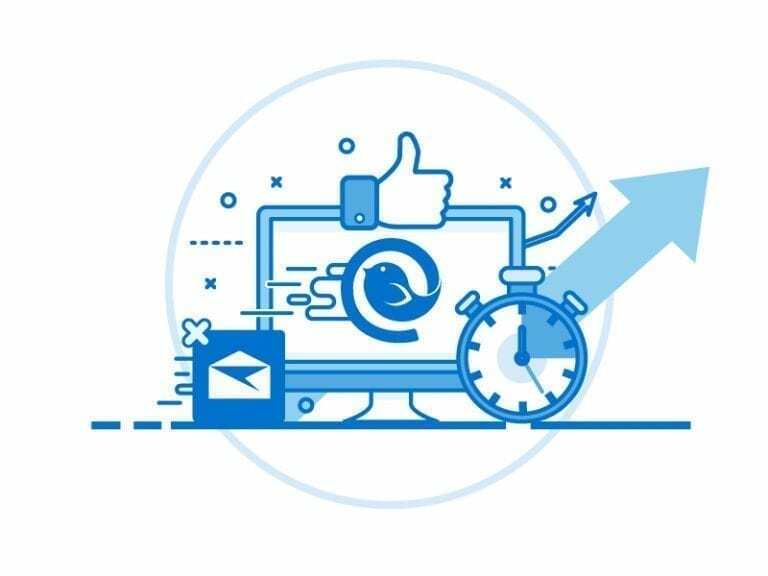 This way, you’ll spend as much time setting up Mailbird as you would on a web browser email service like Gmail or Yahoo Mail! After installing the app and opening it, you’ll have to adjust the mail account settings. You’ll be shown an “Add Account” icon where you have to input your account name, default e-mail address and password in the drop-down menu that pops up. Mailbird will now automatically detect the incoming mail server smtp and outgoing mail server settings of the mail account you’re using. 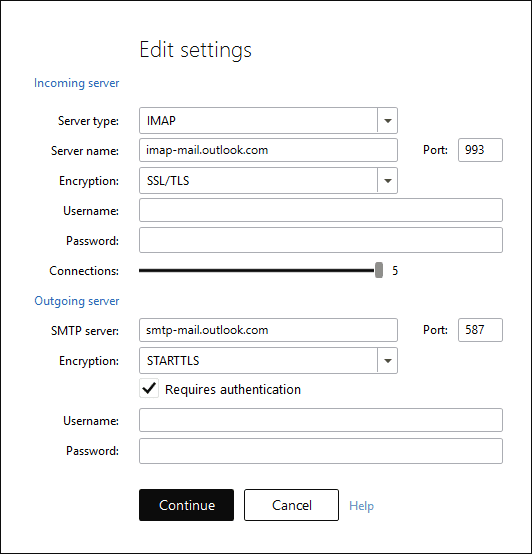 This way, you won’t have to worry about figuring out your account type and manually adjusting mail server settings. Luckily for you, Mailbird can support both POP and IMAP accounts and can determine your account type automatically so you won’t have to worry about compatibility. 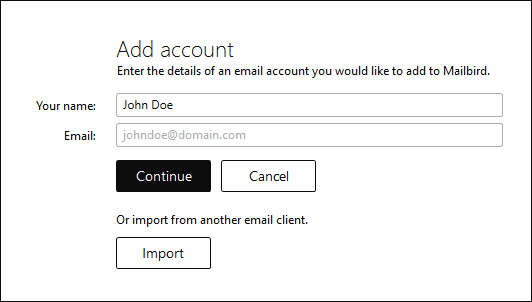 Note – The automatic account type detection won’t work if you’re using a custom domain e-mail account. 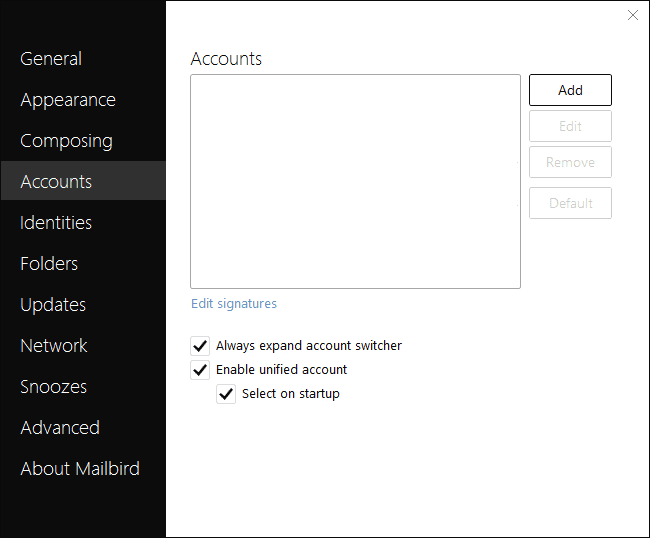 Then you’ll have to manually input the account settings into the settings menu in Mailbird. If you want to a new email account, click on the menu button to the top left of your screen. Once you do, you’ll be shown a drop-down menu. Navigate to the Accounts icon in the start menu / control panel where you can right-click the Add Account button to add as many new mail accounts as you want to! 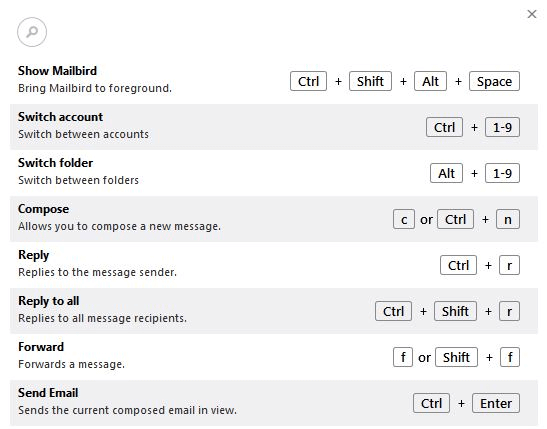 Just follow the same steps above and Mailbird will detect if your email server is POP or IMAP and will adjust the sync settings for you. You’ll also be able to select which e-mail account is your default e-mail. You can add whatever default apps you like – be it a calendar app, a social media app, etc. Don’t worry about making the wrong choice here – you can delete all these steps and actions with no issue! From the default apps you add to the default e-mail account you choose to the mail settings you select – everything can be undone after clicking the settings icon and navigating through the options. That’s it – you’ve now set up your Mailbird mail client in the same time that setting up Windows Mail would’ve taken you! While upgrading to Windows Mail was a good idea as it’s a better mail app for Windows than Windows Live Mail, it’s still not perfect. Mailbird offers you far more in almost all departments when you compare the two. That’s you might want to try out Mailbird – especially if you’re not entirely satisfied with Windows Mail at the moment. In case you’re still on the fence about Mailbird, check out our comparisons with other email clients like eM Client, Mozilla Thunderbird and Outlook.com here. In the meantime, why not sign up for our free trial and experience the power of Mailbird for yourself? 22 thoughts on "Why is Mailbird the best Alternative to Windows 10 Mail App in 2019"
Thanks for your feedback and yes, we are constantly working on improving Mailbird:-) Have a great week and thanks for your great support, we really appreciate it. What options exist for integration with Google Contacts? That would be the only thing stopping me from making the switch. In the Windows Mail app you can not empty your deleted folder, other than by highlighting every individual email one at a time, of which there may be hundreds and pressing delete. Is there a simple “Empty Deleted Folder” option in Mailbird, and can you select multiple emails to delete in one go. What was wrong with Windows Mail from Windows 7. Will Mailbird allow me to have multiple emails open in separate windows like Windows Live Mail from Windows 7? The Windows 10 Mail app does not. Microsoft seem to have gone backwards with their mail app. Its putting me off upgrading to Windows 10 unless I can find a mail app that does the same job as the old Windows 7 windows live mail. and, does mailbird offer the option to change Subject line for filing? If you want to keep it simple a mail client is just a letter box and and you hope you wont get to much adds in it. will give it a try now. Getting real tired with the Win 10 Mail App. Mailbird would become my email client of choice if I could find an easy way to sync Windows 10 contacts to Mailbird. That is one thing the Windows mail client does well. Does Mailbird for Windows 10 support MAPI? does mailbird sync with icloud calendar and contacts? That’s what I’m looking for too. Outlook/Calendar is not a bad when it works. Something happened a week ago and now I can’t get the app to even open. Downloaded free version at 6am this morning. Ran .ee everything OK. The app started up and asks what accounts to load. IMPORTING WinLiveMail. Now its 9:10am says its still loading. Looks like its broken? Sane is the case with me. The app is lagging for some reasons. It’s not as smooth as Windows 10 Mail. Your screen shot must be from the 1st day these apps were launched as it contains a small (several hundred) sampling of feedback. Now it’s 4-1 in favor of 5 star over 1 star (28k to 7k). Does Mailbird allow me create folders? I have had Mailbird for a long time now and wondered if it was possible to sort emails into alphabetical order when thehy come in please. You guys are too heavy.